We would love you to come and see Elham Pre-School for yourself and welcome visitors at any time during pre-school hours. 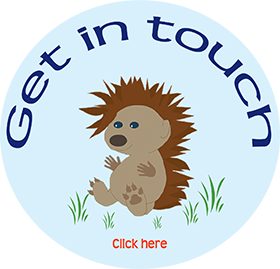 If you would like to contact us or if you have any further questions or queries, please give us a call or send us an email and we will be very happy to help. Conveniently situated in the village of Elham within an Area of Outstanding Natural Beauty, our pre-school is run at the spacious Elham Village Hall which boasts modern facilities, ample parking, a large outdoor area and beautiful views. Our convenient location - almost exactly halfway between Canterbury and Folkestone -means that we are ideally situated for families in many of the surrounding areas such as Densole, Swingfield, Lyminge, Barham, Etchinghill and Hawkinge, as well as of course Elham! *When entering the village of Elham from this direction you will need to do a u turn using the designated road at the war memorial. Once back on the main road (heading back towards Canterbury), you will find our drive just 100 yards on your right. Our drive, signed ‘Pre School’ and ‘Village Hall’, is just before the hill which takes you out of the village. Turn right off of the main road and down the drive into our large car park. Turn right off of High Street and continue down our drive. Continue onto High Street, Elham and drive through the village, past the pubs, and houses on your right. Look for our drive signed ‘Pre School’ and ‘Village Hall’, which is just before the hill which takes you out of the village. Turn right off of the main road and down the drive into our large car park.